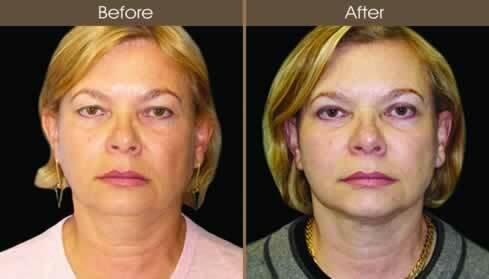 54-year-old female with facial aging underwent a neck lift and upper blepharoplasty (upper eyelid lift). 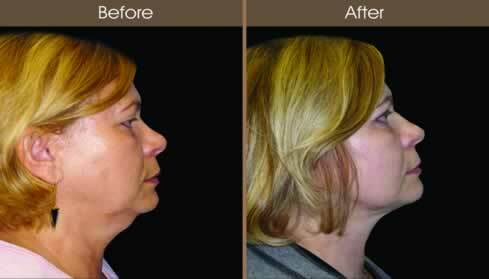 She was concerned with neck laxity, neck fat, poor jawline definition, full appearance of the face and upper eyelid skin excess. The procedure involved a full neck lift with a submental incision (underneath the chin) in conjunction with neck liposuction to help rejuvenate and define the neck and jawline. An upper eyelid lift (Blepharoplasty) was performed in conjunction with the neck lift to eliminate the skin excess and tired aged appearance of the eyes. 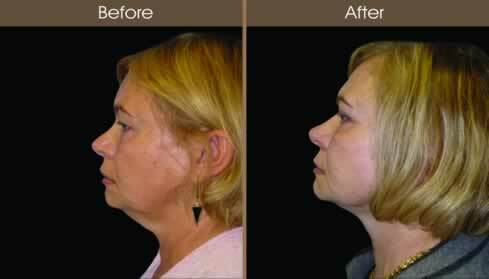 The patient achieved a youthful, rejuvenated, and thinner appearing face and neck while maintaining her natural look.